Read Top Sport Performance Tips by Dr. Jacob Robinson to learn more about Absolute Chiropractic and our Chiropractic office in Rio Rancho, NM. Almost everyone knows the symbolic goal of Mount Midoriyama. The pinnacle test which American Ninja warrior contestants will train year round to reach and push their bodies to the edge of better, stronger, and faster. Whether we are active participants or avid watchers, we witness the incredible strides in the performance that our bodies continue to make when the right elements, techniques, and training are applied. The miraculous nature of our sports performance techniques is not only building strength to strength but maximizing the small or large repair cycle of the human frame to continue to create a top athlete. We long to discover and duplicate the secret recipe of a top athlete. We avidly search to find a person or team who can help you build a better stronger body while increasing performance but know the secret to rehabilitate an injured area and rejuvenate the area to better and stronger than before. A research project published in the September 2005 edition of The Journal of Manipulative and Physiological Therapeutics showed that spinal dysfunction affects reaction times and performance. It was merely able to prove that spinal dysfunction is related to slower and less accurate reaction times and cognitive function. Another double-blind, randomized, study was also performed on thirty volunteers who had presented with what the researchers called “cervical spinal joint dysfunction.” This study consisted of a range of computer-based tasks performed by the volunteers to determine various reaction times. Researchers at the New Zealand Chiropractic College examined the volunteers to assess areas of spinal dysfunction. A baseline note was made on each subject indicating the number of regions of spinal dysfunctions they had. The reaction times of the volunteers were then compared to their number of areas of spinal dysfunctions to see if there was any relationship. The results showed that there was a connection between the number of areas of spinal dysfunction and certain types of reaction times. Researchers also noted that the variety of reaction times affected by multiple areas of spinal dysfunction were therefore related to impaired cortical processing and significantly less accurate response selection. They found that the more areas of spinal dysfunction, the more it affected reaction times. Finally, a follow-on study by the researchers concluded that certain types of reactions times improved with spinal adjustments in regions of spinal dysfunctions. The ramifications of this study not only supported the effects of chiropractic adjustments on general health but offer the basis of training and rehabilitation benefits to top athletes. 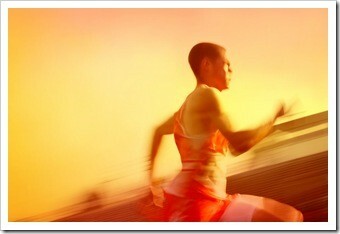 As many of the top athletes know, being in the top 1% includes having regular chiropractic care. Having their bodies in optimal health and alignment allows them to achieve optimal results. Our expert team was designed with that premise in mind. To play like a pro, you must train, heal, and recover like a pro for maximized potential and ultimate success. This entry was posted on Tuesday, October 23rd, 2018 at 3:30 pm and is filed under Health Articles. You can follow any responses to this entry through the RSS 2.0 feed. You can skip to the end and leave a response. Pinging is currently not allowed.